The process of a DUI arrest in Arizona can be intimidating and confusing, but it is important to remember that as a U.S. citizen, you have certain rights for a reason. You are not required to incriminate yourself. As soon as you are stopped for a DUI, it is important to remain polite, but to also invoke your rights. If you are arrested, it could be critical for your defense to contact an experienced Maricopa County DUI defense attorney as soon as possible after your arrest. The best thing to do when you are suspected of DUI is to invoke your rights, particularly your right to remain silent and your right to an attorney. If you are investigated and/or arrested for DUI in the Mesa area, including Tempe, Gilbert, Phoenix, Chandler, Scottsdale, and East Valley, put the 15 years of experience of James Novak behind your DUI case. As a well-educated scholar and former prosecutor, James Novak has a unique approach; he investigates every defense option available to your case while being actively responsive to every move the prosecution makes in order to show cracks in their case. To find out what The Law Office of James E. Novak can do for your DUI arrest in Maricopa County, call (480) 413-1499 today and schedule your free initial case consultation. Since minor traffic offenses like failure to maintain a single lane are subjective to driving conditions and the officer's judgment, the prosecution may not be able to prove beyond a reasonable doubt that the law enforcement officer had reasonable suspicion to stop you. An experienced Mesa DUI defense lawyer can build a defense for you based on a lack of reasonable suspicion and fight to have your Maricopa County DUI case dismissed. It is possible to be polite and cooperative with the officer while still avoiding self-incrimination. If he or she begins questioning you at any point of the stop, politely ask if the official stop is over, or if you are being put under arrest. If he or she says the stop is over, thank the officer for his or her concern and politely state your need to be on your way. If the stop is not over or you are being put under arrest, invoke your right to remain silent and your right to an attorney by stating in a calm, polite manner that you will not make any statements until you have consulted your Maricopa County DUI defense attorney. Never submit to a search of your vehicle, and be wary of questions that seem simple but are actually asking your consent. For example, "May I just have a quick look?" seems innocent, but the officer is requesting your consent to search. If the questioning continues, politely respond to each question with the same statement. Remember, anything you say or do will be used against you in court, so don't try to explain your situation or talk your way out of arrest. When opting for the services of an experienced DUI defense lawyer in Mesa, it is best to contact him as soon as possible. There are two types of testing an officer may attempt to use to gather DUI evidence – Field Sobriety Tests (FSTs) and chemical tests. The field sobriety tests include physical and mental tests such as the one-leg stand and walk-and-turn, and can be administered where you are stopped or at the station. Under no circumstances should you submit to field sobriety testing. Not only are you not required by law to submit to FSTs, but studies show that just around 60% of people pass the tests when completely sober. The chemical test may be a test of your blood, breath, or urine, and usually takes place after you are arrested and taken to the station. The purpose of the chemical test is to determine your blood or breath alcohol concentration (BAC) level and/or to see if you have any illicit drugs or controlled substances in your system. Unlike FSTs, not submitting to these chemical tests does have consequences. However, these consequences are disputable by your Tempe DUI defense attorney, so you should refuse to submit to testing. If you do submit to BAC or other chemical testing, seek out a medical facility for your own test immediately after leaving the station. As a driver on Arizona roads, according to ARS § 28-1321 you have already given your implied consent to DUI chemical testing. Implied consent doesn't mean you are required to submit to the tests, however. What it means is that you face a driver's license suspension of one year upon your first refusal. This is a civil penalty separate from any DUI penalties imposed by the court, and can be contested in an administrative license suspension hearing requested within 15 days of your DUI arrest by you and your skilled Tempe DUI defense lawyer. Refusing chemical testing is an important step in your DUI defense, because without a chemical test the prosecution will have little to go on. Even if you know for certain you are not drunk, do not submit to the tests to prove the officer wrong. Not only does Arizona DUI law allow for a DUI charge when you have a BAC under the legal limit, but the blood, breath, and urine testing at police stations can be flawed and return results that are both incriminating and incorrect. When working with an experienced DUI lawyer, it is best to refuse the testing and let your attorney sort out the rest. Once the law enforcement officer has sufficient evidence either to charge you outright with DUI or reasonable cause to arrest you for testing at the station or another facility, you will be arrested, cuffed, read your rights, placed in the back of the officer's vehicle, and taken to the station, or, in some cases, a chemical testing facility. After you have refused chemical testing, if you are an alleged offender for simple first DUI, you will likely not be booked into jail. Rather, you will likely be detained, processed, issued a citation, given a phone call, given bail information, and released on bail with instructions to return for court dates. The investigative process for subsequent and felony DUIs can take longer due to the needs of law enforcement to obtain your record and determine the status of your driver's license. If you are booked into jail, you will be searched, fingerprinted, photographed, asked a few routine questions, and taken to a jail cell. Once in custody, you will be set for a first appearance within 24 hours where a judge will determine bail and the conditions of your release. 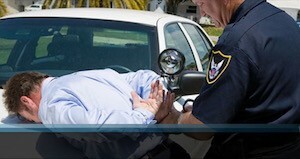 It is important to exercise your right to a qualified Maricopa DUI attorney as soon as possible in the arrest process. Otherwise, don't forget your right to remain silent. Your attorney will advise you on each next step you should take. If you area stopped or arrested for DUI anywhere in Maricopa County, including Mesa, Tempe, Gilbert, Phoenix, Chandler, Scottsdale, and East Valley, contact experienced and passionate DUI defense lawyer James Novak to fight for you. He will use his experience as a former prosecutor and specialized knowledge as a multi-degreed scholar to build a customized and comprehensive defense for your drunk driving case. Your first consultation is free, so call (480) 413-1499 today and schedule yours.